Diana Skelton and Marjorie Orcullo of ATD Fourth World: All Together in Dignity give the history and meaning behind the international Tapori children’s friendship network in the Fall 2015 edition of Childhood Explorer magazine. 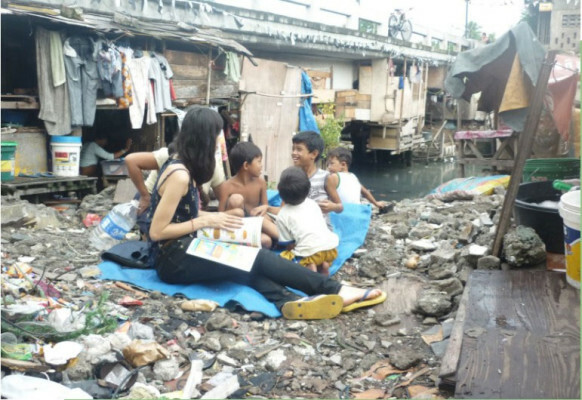 Included is a true Tapori story from the ATD Fourth World – Philippines project “Ang Galing!” (“Awesome!”) undertaken with families living in homes suspended under a bridge over a canal. Around the world, children who grow up in poverty and children who grow up in middle-class homes rarely have opportunities to get to know one another. 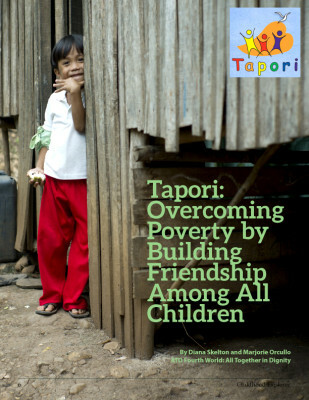 Tapori is a friendship network that seeks to make connections between disparate groups of children possible. Its newsletter shares true stories from the point of view of children living in challenging circumstances, such as on the street or in an emergency housing shelter. Children from more privileged backgrounds respond, often by sharing the ways that they try to make a positive difference…. Ang Galing is about reaching out to children where they live and play; It is visible to everyone. Mothers of the community are actively involved in the program, facilitating the teaching sessions. 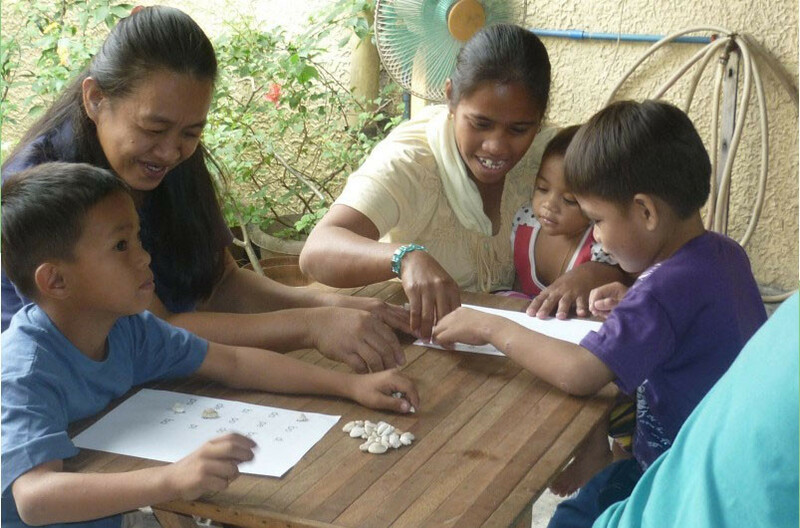 Feature photo at top: Parents of children in “Ang Galing!” (“Awesome!”) take part in meetings and workshops together, and in turn support their children in “Ang Galing!” Read the full the article on page 6 of Childhood Explorer magazine. Click here for the PDF.